Book Soon - Only 2 stateroom categories remain available on this voyage! 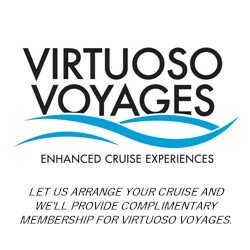 Complimentary, exclusive and unique Virtuoso Voyages event in Palma de Mallorca. Click on Voyager Club tab for complete details. 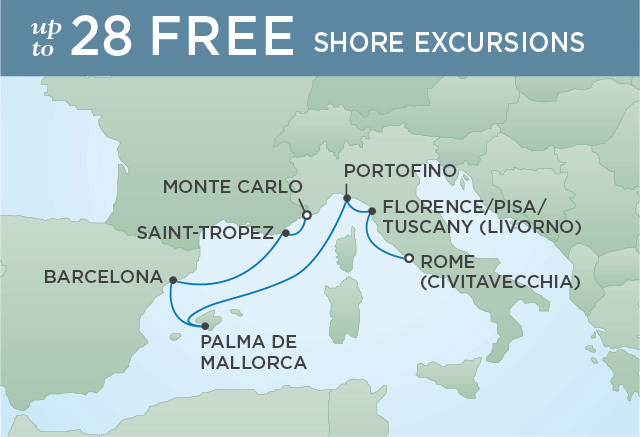 NOTE: You may choose this exclusive shore event, a personalized experience credit toward an exclusive Virtuoso product, or onboard spending credit. Ask us for complete option details. Our journey today will take us into the Serra de la Tramuntana, the mountainous northwest edge of Mallorca, a UNESCO World Heritage site a world away from the resorts of Palma. We'll begin at the Cartuja de Valldemossa, a Carthusian monastery dating to the 14th century that is also noted as the one-time residence of Frédéric Chopin and George Sand. We'll see the cells where the monks lived-adhering to a strict code of silence-as well as the lodgings of the artist couple. We'll also enjoy a live performance of a Chopin piece in the adjacent Palacio del Rey Sancho. We'll continue on to Dei, a gorgeous village of about 850 people that dates to prehistoric times. With construction and development carefully controlled, the stone town is still largely based around agriculture and the arts. It's a charming and peaceful escape, fronted by the sea and backed by terraced hillsides. We'll transfer next to the nearby restaurant Es Canyis, with views over Puerto de Sller bay. We'll savor a lunch of traditional specialties like octopus carpaccio, assorted croquettes, and Zarzuela-style fish and seafood stew, before returning to our ship. PLEASE NOTE: All Virtuoso events ashore are capacity controlled and require a minimum number of participants to operate. Events are subject to change without notice. These events are individually tailored for each date and arrival. Your event could be different than what is noted here; but it will be designed to be memorable and to bring you a traveler's view that you will treasure, and would otherwise miss entirely. 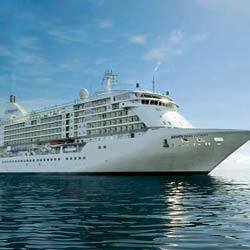 Final details will be outlined in program letters provided by your Virtuoso host aboard ship.